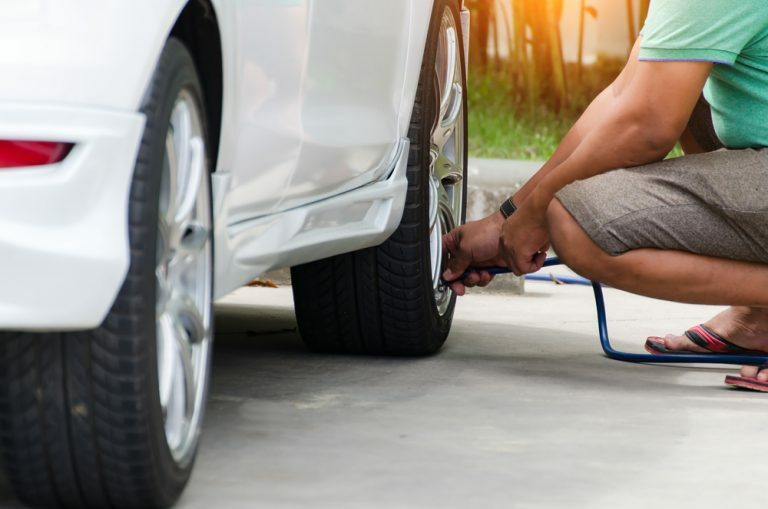 If you have ever been stuck on the side of the road with a dead battery (it happens to the best of us now and then) you know how miserable, and sometimes scary, it can be. 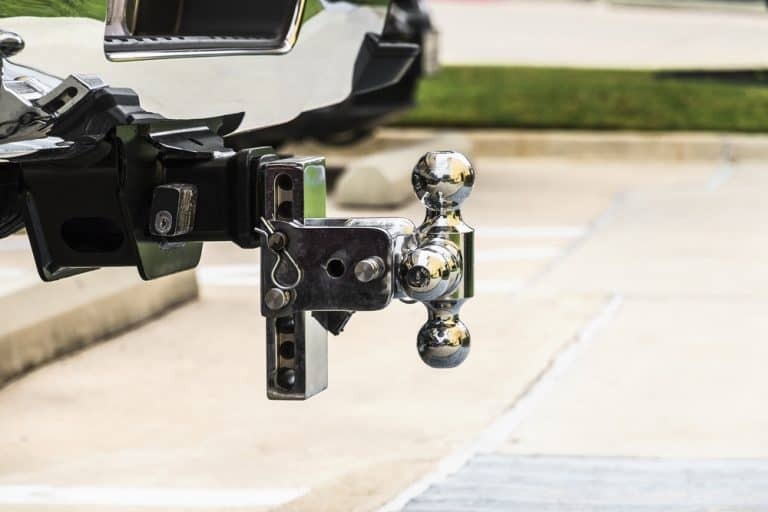 Depending on where you are, a tow truck could take a long time to get to you, not to mention cost you way too much once it does. 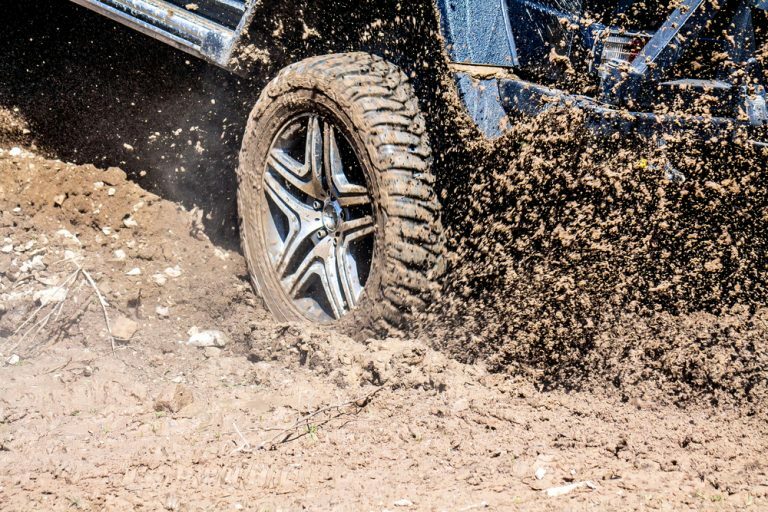 To save yourself from these situations, we recommend investing in a portable jump starter. They are affordable, super convenient little devices to have on hand, that can give your engine the emergency jump start you need to get back on the road. 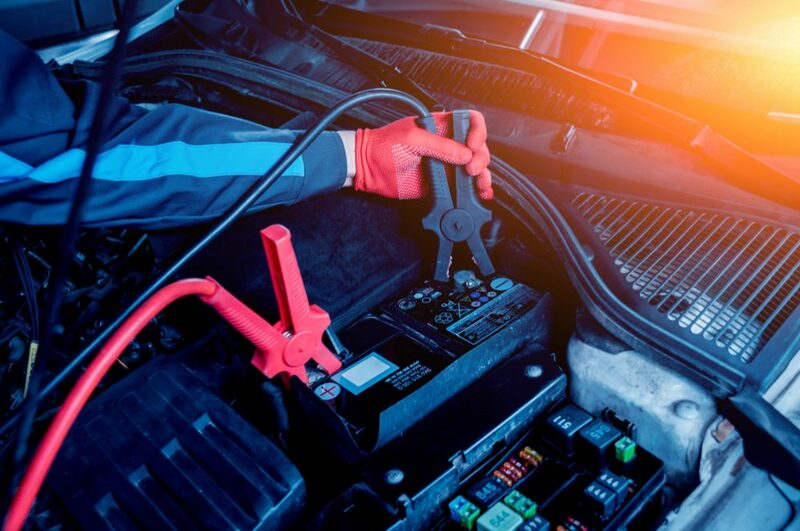 Whether you are a professional repair expert or just a vehicle owner who wants to be repaired, finding the best jump starter for your needs is a simple matter of knowing what to look for. We have compiled a list of 6 of the top jump starters on the market right now so you can take a look and compare them. These are all great, high-quality devices, but some will perform better than others in different circumstances. 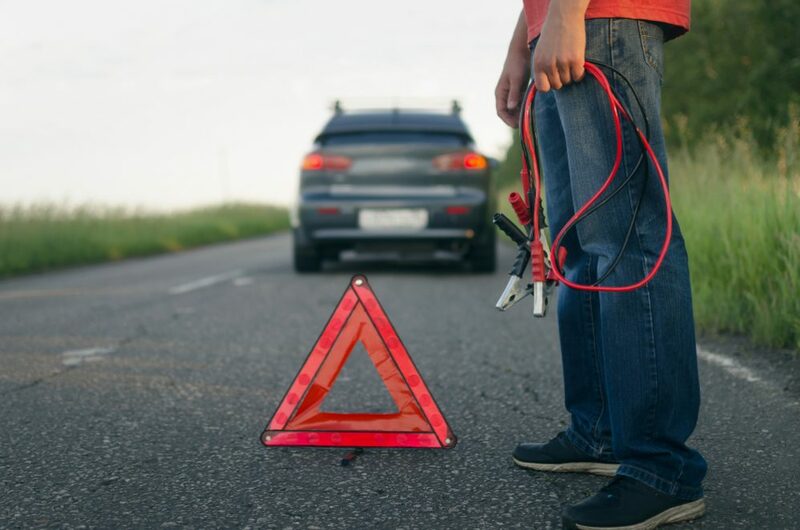 At the bottom of this article, we have also included a helpful buyer’s guide, pointing out some of the important factors you need to consider when shopping for a new jump starter. (Our Top Recommended) NOCO Boost Plus GB40: versatile 1000 amp jump starter, holds a charge for up to a year, extra safety features. GOOLOO Upgraded Car Jump Starter: affordable and versatile 800 amp jump starter, compact and easy to use. Truck PAC ES1224: professional-grade, industrial 3000 amp jump starter with 1500 amp /24-volt option. Great for trucks and bigger vehicles. DBPOWER 500A Peak: affordable, compact 500 amp jump starter with plenty of additional emergency features. POTEK Car Jump Starter: 500 amp jump starter that doubles as a tire inflator, versatile and great for camping trips. Bolt Power N02: powerful, compact 1200 amp jump starter with additional emergency features. We’re kicking this list of top jump starters off with a lightweight, easy to operate, and most importantly extra safe little jump starter. This NOCO Genius model is a great device to always keep on hand in the family vehicle. The NOCO Genius line is highly trusted and really well rated when it comes to battery chargers and jump starters. They make innovative simple products that bring professional quality into a home-use device. This powerful little jump starter is no exception. The Boost Plus GB40 is light and compact, easy to store in your car at all times. It is fully equipped to help you with a roadside emergency in more ways than one. An integrated LED flashlight on the device comes with seven different light settings, including a flashing, SOS mode to flag down to alert others of your location. It also has a USB port that can recharge a cell phone or other electronic device in case your battery is dead and you need to make an emergency call. This particular model is 1000 amp, but the same line of NOCO products goes all the way up to a 4000 amp starter. The 1000 amp is powerful enough for gasoline engines up to 6 liters and diesel up to 3 liters (for your reference, that encompasses a mid-size car or truck, as well as most boat, motorcycle or ATV engines). It can be recharged through any USB port, and holds its charge for up to a year – so you really never need to worry about maintaining it until it has been used. The safety, convenience and versatility of this jump starter make it the ideal choice for family vehicles or teenage drivers – or really anyone who wants to keep a little peace of mind in their toolkit. Another compact and versatile jump starter, this Gooloo 800 amp starter is safe, simple and affordable. 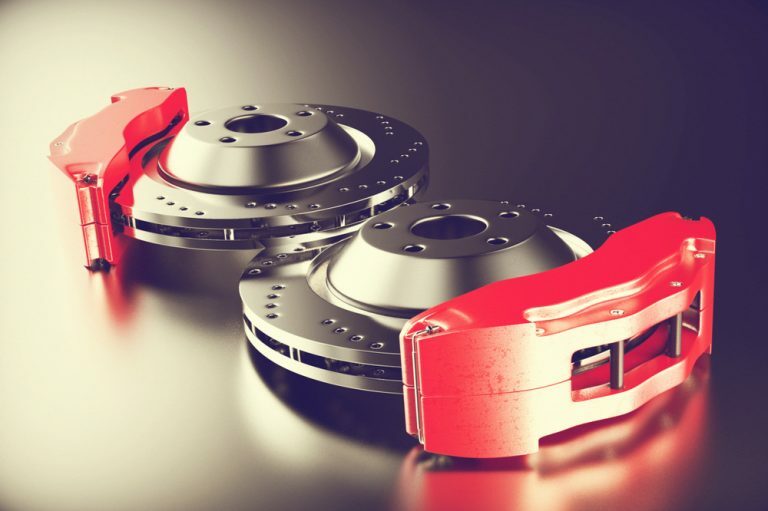 Great for just about any car, truck or recreational vehicle. This affordable, mid-range jump starter is super intuitive to use and great to have on hand during an emergency. It is light enough to store easily in your vehicle and holds a charge for up to 3 months, so you can easily keep it with you at all times. It also comes with an integrated LED flashlight with 3 different light settings, including flashing, SOS mode, and a USB charging feature to recharge a dead phone or other electronic devices on the road or in an emergency. The 800 amp is a little less powerful than some engines require, but it is still plenty of power for most mid-size cars, motorcycles or ATVS, etc. 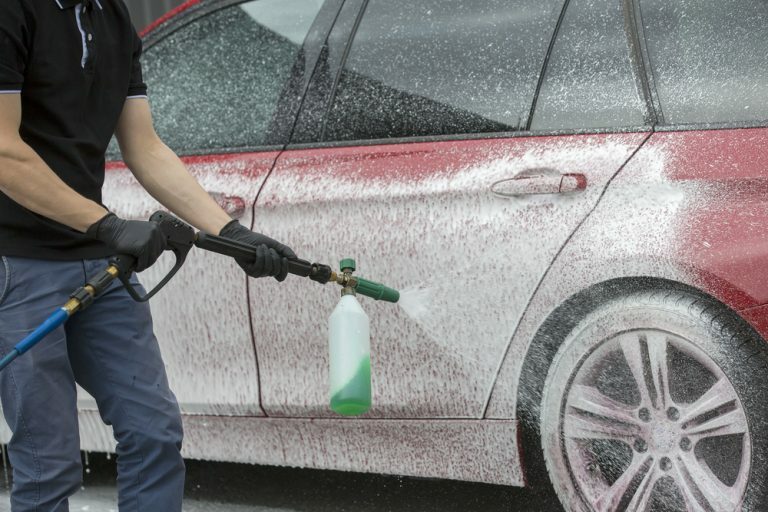 The quality of this product is a little lower than that of other, more expensive brands – it does not hold its charge for quite as long, and is not suitable for bigger vehicles. But it is affordable, perfectly safe and will not let you down in a roadside emergency, and that is what really matters. We would recommend this jump starter for families and any vehicle owners – so long as your engine is small enough to be started with an 800 amp starter. (You should find out what kind of amp you need before purchasing a jump starter – but we will go into more detail on that later). This powerful, up to 3000 amp starter is great for trucks and larger vehicles. This is definitely one of the more professional-grade jump starters on our list, highly recommended for someone with professional or semi-professional roadside repair experience. A little more heavy-duty than some of the other jump starters on this list, this Truck PAC jump starter from Clore is fantastic for truck or RV owners. It is not quite as portable as others, but still very light and fairly easy to use. You can change this starter from a 12 volt to a 24 volt with the flip of a single switch, depending on the engine you are jumping. Two hot jaw clamps on 60 inch, #2 gauge cables connect the starter to the battery and jump start it in seconds. After use, this jump starter automatically recharges itself – an astounding feature of Clore products, and part of what makes them so great for professional use. There is a slightly higher risk of electricity with the hot jaw clamps than with other clamps, so we recommend doing your research to properly learn how to use this jump starter if you never have before. 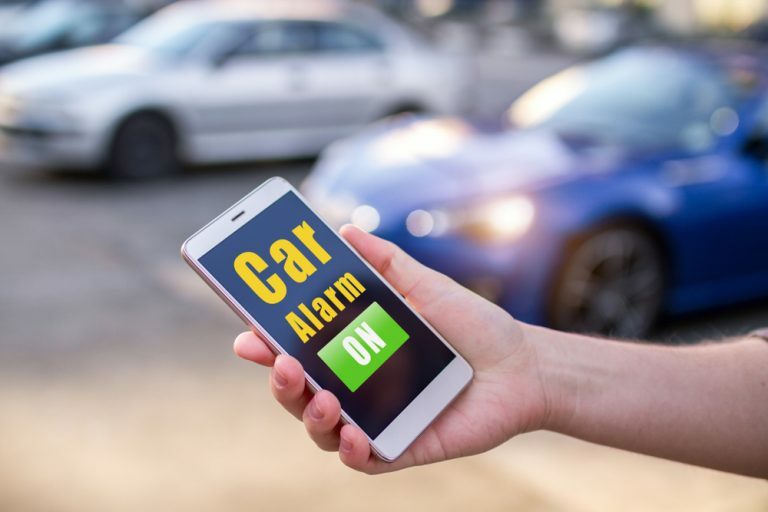 That’s not to say it is highly dangerous – this starter does come with standard safety features as well as an advanced warning system that will let you know if something is going wrong. All-in-all, the Truck PAC jump starter may not be the best glove compartment tool for a family vehicle, but a great choice for experienced truck or RV owners, professionals or semi-professionals. This super affordable, 500 amp jump starter is an entire emergency kit in one tiny package. With a flashlight, compass and LCD screen, it has everything you need in case of a roadside breakdown. A great choice for small to mid-size vehicle owners. The DBPower jump starter is light, compact and absolutely jam-packed with added emergency features. At 500 amps, it is one of the less-powerful starters on our list, but it is still capable of getting a mid-size engine started up quickly. It also comes at a great value for the quality. 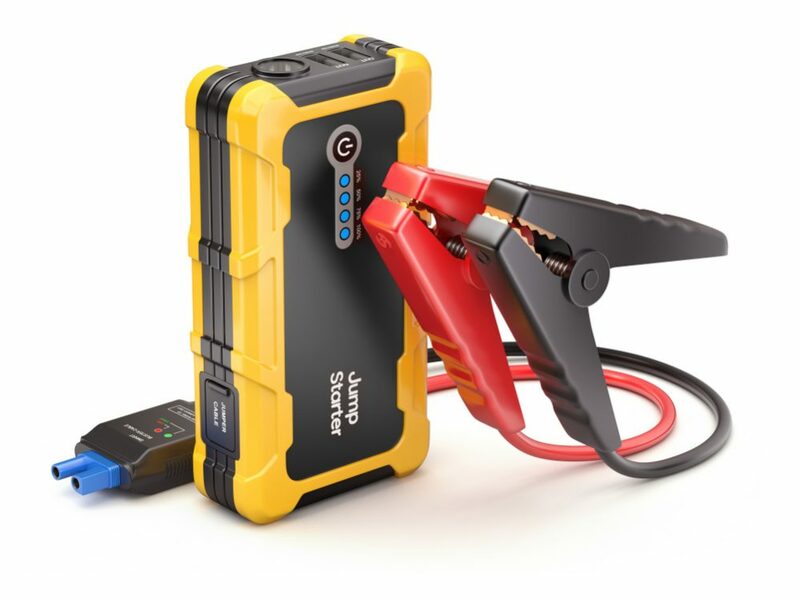 This jump starter is designed to be stored in your glove compartment or trunk so you have it on hand at all times in case of a roadside emergency. 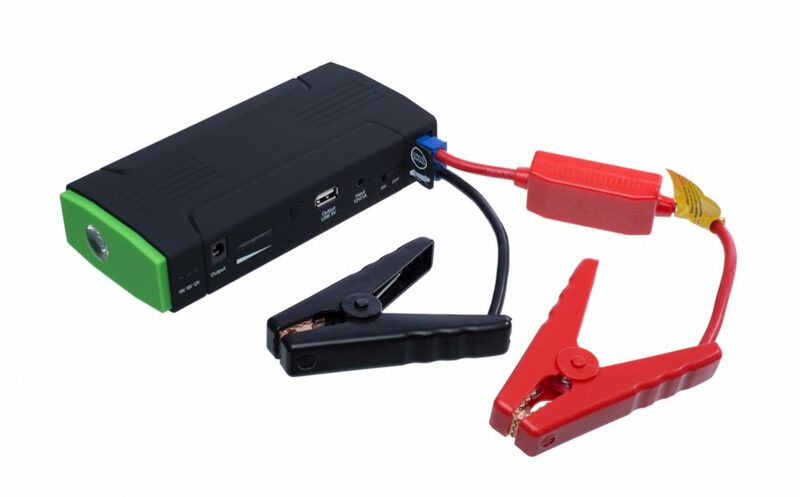 It cannot only jump start your car, but also recharge your cell phone or laptop, operate as an LED flashlight and even help you get oriented with the built-in compass. The advanced jumper clamps are spark-resistant and safe to use, and it comes with an easy-to-follow guide for someone who has never used a jump starter before. A newly-added feature to this model is the backlit LCD screen, which shows you exactly how much charge you have left in the starter. The build is fairly high-quality for the price, and you are guaranteed to get at least 20 jumps out of it – as an emergency tool, that is more than you will need. 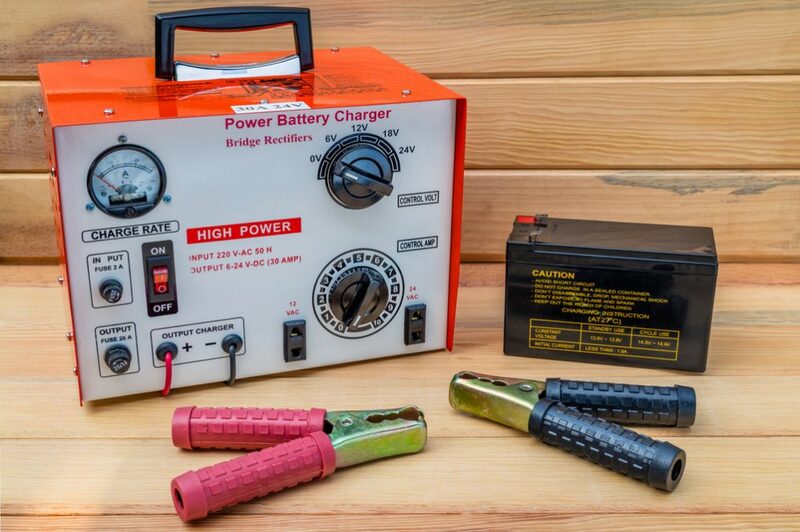 We would highly recommend the DBPower jump starter and emergency kit to anyone who does a lot of camping or long road trips, and does not want to get caught with a dead battery in an isolated area. This versatile tool from Potek is both a jump starter and a tire inflator. 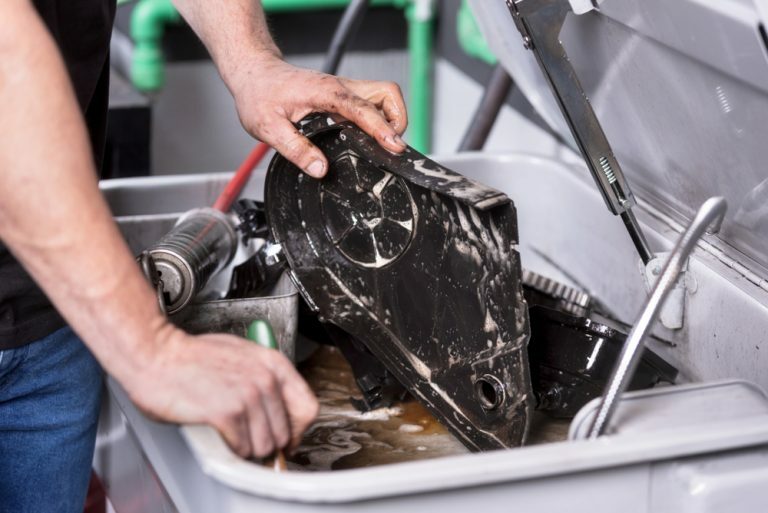 It is a little bigger than other products on our list, but provides all-in-one roadside repair service – an awesome tool to pack with you on a long road trip. This is a review of jump starters, but we just had to include this hybrid jump starter/tire inflator device for its awesome all-in-one versatility. Mind you, this Potek starter/inflator is quite a bit heavier than some other, glove compartment models – but it does a lot, and if you have the space to pack it, it will save the day on any camping trip or long distance drive. You can use it to jump start your engine, inflate your tires or rafts, charge up your phone or laptop, or just shed some light on the campground or your work area at nighttime. It can also be charged by car battery if a wall outlet is not available (again, great for camping trips). The 500 amp starter is a little weaker than we would like, but it will get the job done in a pinch. It may not be as fast as a more powerful starter, though, which can be a pain on the side of the highway. LED lights on the body will show you how much charge you have left in the device, as well as alerting you in the case of reverse polarity while you are using it. 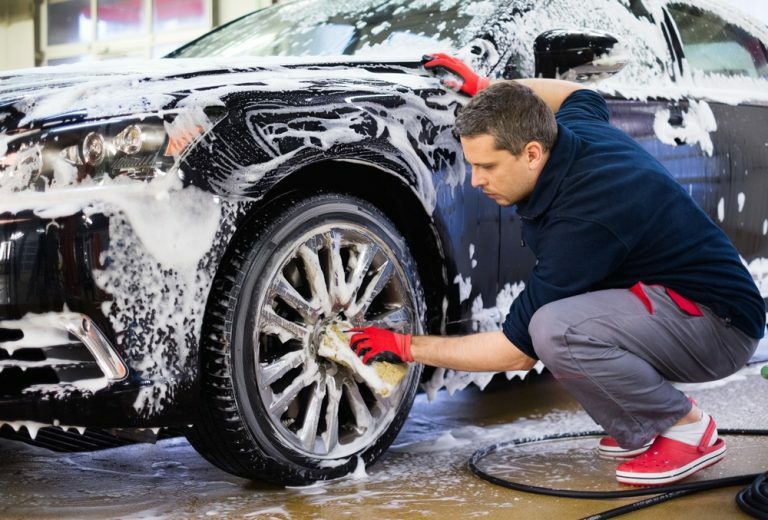 We definitely recommend this versatile tool for someone who spends a lot of time on the go or outdoors in their vehicle. Last but not least on our list is the super powerful, incredibly compact Bolt Power jump starter. Strong enough to start up a big truck or RV, and tiny enough to fit in your pocket, this little jump starter makes professional quality portable. Why not end on a strong note, right? The Bolt Power jump starter is simple, affordable and powerful. It comes with additional features to help you out in a roadside emergency, including a USB charging port for your phone or other devices and an LED flashlight with 3 different light settings – and it is super safe to use in all weather conditions. This 1200 amp starter will work for your car, truck, or SUV, as well as anything as large as a bus or as small as a lawnmower. Heavy-duty clamps and copper wires ensure the best conductivity to get you started as quickly as possible. It can be charged at home, and will hold its charge for up to three months at a time, so it requires hardly any maintenance. It would be crazy not to recommend this jump starter to every vehicle owner. It comes at a great price, and with a 12-month warranty, is built to last for quite a while as an emergency tool. It is also easy and safe to use. 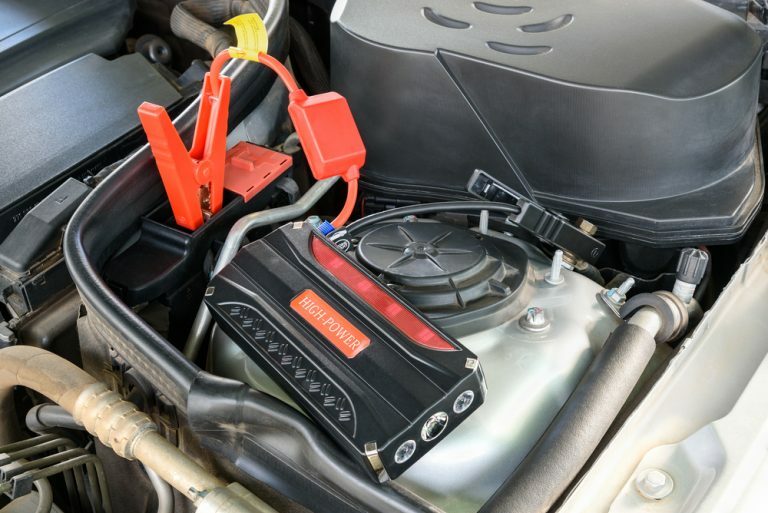 Now that you have had a chance to look through the best of the best car jump starters, it’s time to consider which would be the best choice for you. This buyer’s guide will point out some of the important features of jump starters, and the things you need to consider before you purchase one. A lot of the jump starters we reviewed on the list above were compact, portable and advertised as being very easy to use for first-time or inexperienced users. On the other hand, there are some jump starters out there designed for professional use, with a much higher amp, heavier construction and more complicated use. So you may be wondering, are you losing out on quality by choosing a lighter, portable and convenient jump starter? In short, no – not for what you will be using it for. Professional-grade jump starters are often more powerful and durable because they are intended to be used over and over again, whereas your portable, glove compartment starter will (hopefully) only be used once or twice, in an emergency situation. So, if you don’t plan on doing regular roadside repairs, you should choose the portable starter that will be easy to keep in your vehicle – it will definitely be powerful enough to get you back on the road in an emergency. Is it dangerous to start your car with a jump starter? These days, not so much. All modern jump starters are equipped with multiple safety features. While we definitely recommend doing a little home research before you use your jump starter for the first time, you should be perfectly safe as long as you follow the instructions. The biggest danger in jumping a car is getting a spark too near the gas from the engine or battery. Make sure your cables and battery clamps are spark proof. Most modern jump starters are protected against sparks, but if you don’t see it on the labeling or advertising, it is worthwhile to give the manufacturer a call just to double-check. You might have seen this term in the reviews above and wondered what it meant. Basically, reverse polarity occurs when you have connected to the battery wrong (negative to positive and vice versa). 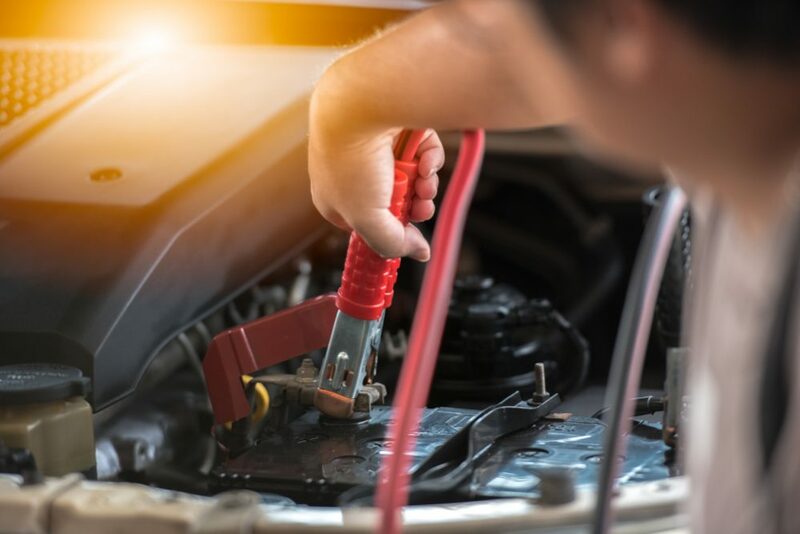 It is not uncommon for that to happen, even for professionals, but it can be dangerous when it does – you could do irreversible damage to your car’s battery in seconds. Reverse polarity protection works in a number of ways, depending on the jump starter. Generally, the starter will either shut itself off, or alert you that something is wrong so before you can start. 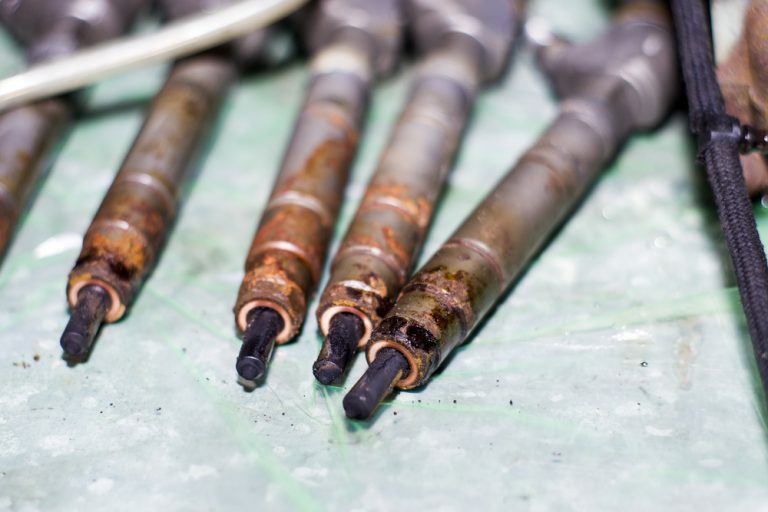 Similar to reverse polarity, an overvoltage spike can seriously damage your car’s battery. Most modern jump starters are designed to prevent overvoltage spikes, or to shut off or alert you when it occurs. A lot of jump starters on our list came with extra features to assist you in a roadside emergency. To be honest – not all of the extra features are necessary (most people don’t need a compass in a breakdown) but there are two that we highly recommend: an integrated flashlight and USB powerpack. The flashlight feature on a jump starter is really necessary when you break down at night, especially if you are on your own, and have no one else to help you by holding up a light. Most portable jump starters come with flashing or strobe features on their lights to alert passers-by that you need help – this can also be crucial, especially in an off-road or isolated area. As for the powerpack feature, it may seem superfluous to be able to charge your phone with your jump starter – but remember that when you have a dead battery, you will not be able to charge your device through your car. Having a starter that doubles as a USB charger could make the difference in being able to make an emergency call. With all the modern technology available to drivers today, roadside breakdowns are becoming more and more manageable. 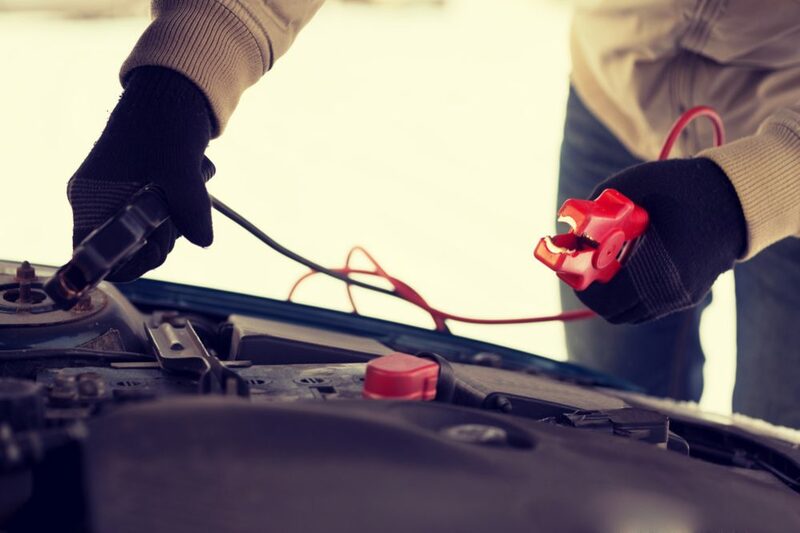 If you have a jump starter in your vehicle, you will be able to restart your own dead battery without calling for a tow or repair, no matter where you are. Modern jump starters are portable, easy to use, super safe and can come with all kinds of additional features to help you in an emergency situation. Before you purchase your jump starter, make sure it has everything you need for your vehicle. Familiarize yourself with how to use it safely, and you will never have to worry about a dead battery in the middle of nowhere again.